If your desktop computer is running slowly, there are some actions you can take to increase your computer speed. The fastest and easiest thing to try to speed up your computer is to restart it. Computer memory (RAM) holds the currently used information; the file you're working with. As you open more files, web pages, and photos, there are more things in the computer memory, which makes it harder for the system to find the file you're looking at. At some point, the memory gets full and the computer goes back to the storage drive to get additional files, which takes longer. 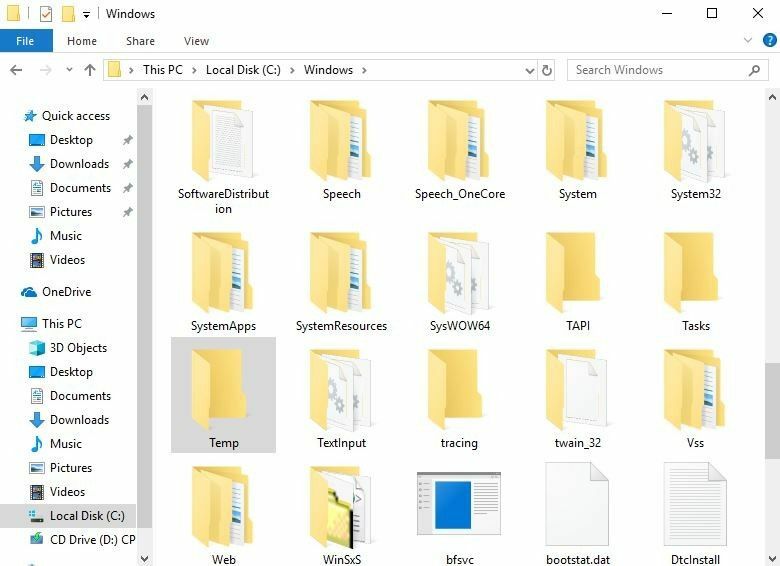 To clear the computer memory, and speed up file retrieval, restart your computer by selecting "Restart" or "Shut down" from the Start menu. Learn more about the role of memory in your computer. Restarting your computer will clear the internet cache, but you can also clear it manually. Web browsers often keep a cached copy of pages so that the page can be opened quickly even as the computer checks to see if there are any updates on the page. There might also be cookies connected with the page. These are bits of information that tell the website information about you, such as what you looked at last time you were on the page. On your browser, there will be a place to clear the internet history under Options. This will usually also clear the cookies, but some browsers might have a separate step for that. If your computer is slow to start up, check the programs that are starting up automatically. You might not be aware of how many programs are starting up and running in the background. These programs could have come configured to start up automatically when you bought the computer. On a Microsoft® Windows® computer, press the Ctrl, Alt, and Delete keys at the same time.. Select Start Task Manager, open the Processes tab. You can now see what processes are running. You can close the program from Task Manager, or go into the application and configure it to not start automatically. Close any unused web browser tabs you have open as well, even with cached pages, the web browser is checking these pages to see if there are any updates, which will slow the computer down. While you're looking at the programs that start automatically, take a look at all your programs. Some programs come pre-installed on a computer at purchase, these programs take up room on your storage drive. This includes additional web browser toolbars that might have been inadvertently installed or came pre-installed. On a Windows computer, click the Start button, select Control Panel, then Programs, click Uninstall a program. Go through the list of programs, select any you don't want to keep, then click Uninstall. The system will not allow you to uninstall programs you need to run the computer. Uninstall any web browser toolbars that you're not using. Although less common now, web browser toolbars can be a form of bloatware that can slow down web browsing. A temporary file can be installed each time you visit a site on the internet. These temporary files can build up on your storage drive causing it to run slower as it sorts through the files. If the steps above haven't helped the speed of your computer, you might need to look at the computer memory. Computers are sometimes sold with the minimum amount of RAM to run the system. Installing more memory can speed up your computer. 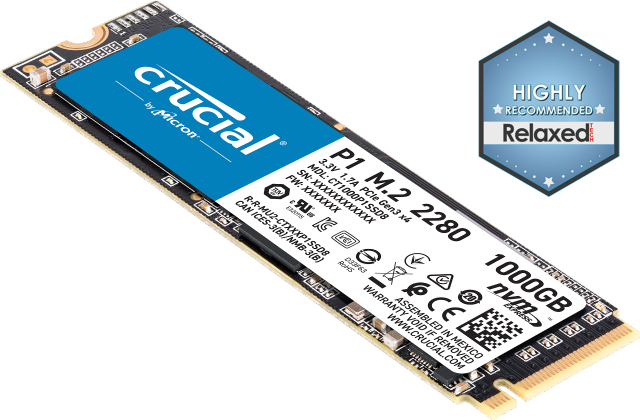 Use the Crucial® Advisor™ tool or System Scanner tool to find out what memory modules are compatible with your system. It's important to keep your computer's software up-to-date. Software companies are constantly updating their programs to be faster, more efficient, and to reduce vulnerabilities from malware. The best method is to allow as much automatic updating as possible. On a Windows computer, Windows 10 is one of the easiest operating systems to update. It is pre-configured to automatically install Windows updates and updates to some programs. You can also manually check for updates by clicking on the Windows button, selecting Control Panel, System and Security, then Windows Update. Select Check for updates to make sure there are no additional updates. For computers using a version of Windows earlier than 10, follow the same path to make sure that Windows Update hasn't been inadvertently turned off. When you get messages prompting you to install updates, be sure to install them. Sometimes the installation process also requires the computer to restart. Restart as soon as you can to finish installing any updates. Always have anti-virus software running and updating. Any malware, especially adware, that gets into your system can cause significant slow downs. If you have a hard disk drive (HDD), doing regular maintenance on the drive will help speed up your computer. Cleaning and defragmenting the hard drive can help with computer speed. Right-click on the drive you want to clean. This is usually the C: drive. In the dialog that appears, the system will indicate how much free space is available on the drive. If the free space is less than 20% of the total size of the hard drive, click the Disk Clean up button. Defragging your hard disk will also speed up your computer. Find out how to defragment your hard drive. (Do not defrag an SSD. 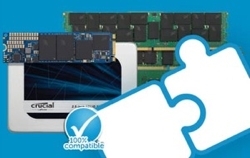 SSDs use different technology that does not result in fragmented data). To avoid these issues, consider switching to a solid state drive. SSDs can be up to six times faster than a hard drive. 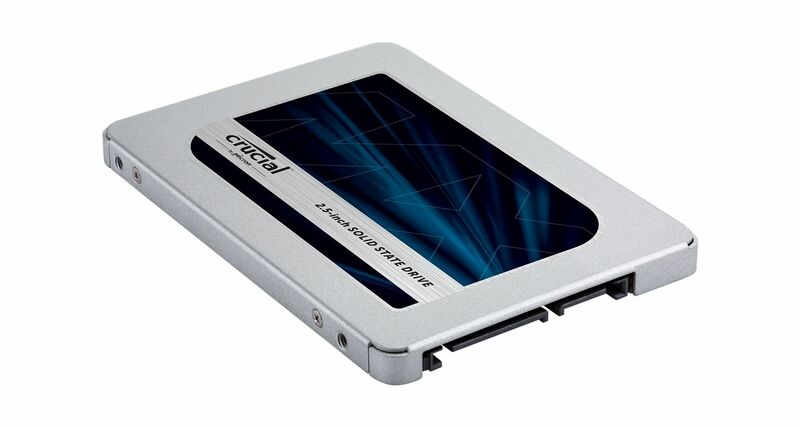 SSDs are more energy-efficient and durable than hard drives, as well. Your desktop computer should be speedier now. ©2018 Micron Technology, Inc. All rights reserved. Information, products, and/or specifications are subject to change without notice. Neither Crucial nor Micron Technology, Inc. is responsible for omissions or errors in typography or photography. Micron, the Micron logo, Crucial, and the Crucial logo are trademarks or registered trademarks of Micron Technology, Inc. Microsoft and Windows are either registered trademarks or trademarks of Microsoft Corporation in the United States and/or other countries. All other trademarks and service marks are the property of their respective owners.